§ 230-12 Character of land. § 230-13 Land with special natural characteristics. § 230-14 Development of land with special natural characteristics. § 230-16 Basic lot standards. § 230-19 Pedestrian and bike paths; fire ponds. § 230-20 School bus stops. § 230-22 Storm runoff and erosion control. § 230-23 Open space reservations. § 230-24 Roads, easements and reserved parcels. Safe water supply and sewage disposal, in accordance with Westport-Weston Health District Regulations. 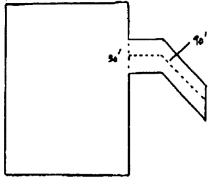 Stormwater and erosion control, as specified in §§ 230-21H and 230-22. Convenient and safe access for service and emergency vehicles. Protection of basic land and water resources. Floodplains, as defined by the Flood Boundary and Floodway Maps of the United States Department of Housing and Urban Development (October 17, 1978), and including any subsequent revisions which may be made. Editor's Note: See Ch. 212, Floodplain Management Regulations. Slopes of 20% or greater as determined by accurate topographic survey at contour intervals of five feet or less. Wetlands, wetland linkage areas, streams, marshes, bogs and swamps, and other water bodies. Soil areas possessing severe or very severe limitations for home site or on-site sewage disposal systems by soil types as classified by the Fairfield County Soil and Water Conservation District. Direct or primary recharge areas of stratified drift aquifers. Areas subject to unusual water or wind erosion due to unstable soil, excessive stream velocity, or lack of topsoil and vegetation. Ledge rock, shallow soil areas, and extensive bedrock outcroppings. Areas identified as protection zones and critical planning units in the Weston Environmental Resources Manual, Maps 4 and 5. Areas which are not accessible from a road capable of furnishing safe and convenient access for emergency services. Accompanied by a lot development plan which details where any such development is to take place and what type of development is proposed. Designed so that no dwelling, structure, sewage or waste disposal system, septic reserve area, road, driveway or other impervious area requiring construction shall be located in floodplains, wetlands, or on major slopes unless approvals have been obtained as needed under the following regulations or plans: Floodplain Management Regulations (for development in floodplains); Inland Wetland Regulations (for development in wetlands or watercourses); Drainage and Erosion Control Plan; and Town driveway and other ordinances where they specifically apply. Planned to use reasonable care in the development of land with the special natural characteristics listed in § 230-13. Where reasonable development alternatives exist on a site, the Commission may require that the subdivision plan be redesigned to accomplish this. Are protected from development by a note on the map and by deed restriction providing that such areas shall remain permanently undisturbed in their natural condition, free from construction, regrading, paving and other significant alteration. The layout of lots, roads and building areas shall be designed, where feasible, to preserve the significant natural features of the site and to promote compliance with the passive solar objectives of Public Act 81-334. Editor's Note: See C.G.S. §§ 8-2 and 8-25. Minimum lot areas and dimensions shall be as prescribed by the Weston Zoning Regulations. Odd-shaped lots. 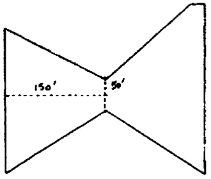 A lot may not measure less than 75 feet in width or depth at any point except where the measurement of the width or depth of the lot at such point multiplied by three is equal to or greater than the distance from such point to the point where the lot boundary lines form a figure closed on three sides measured along a line running through the center of such portion of the lot. An accessway otherwise in compliance with these regulations shall not be a violation of this subsection. 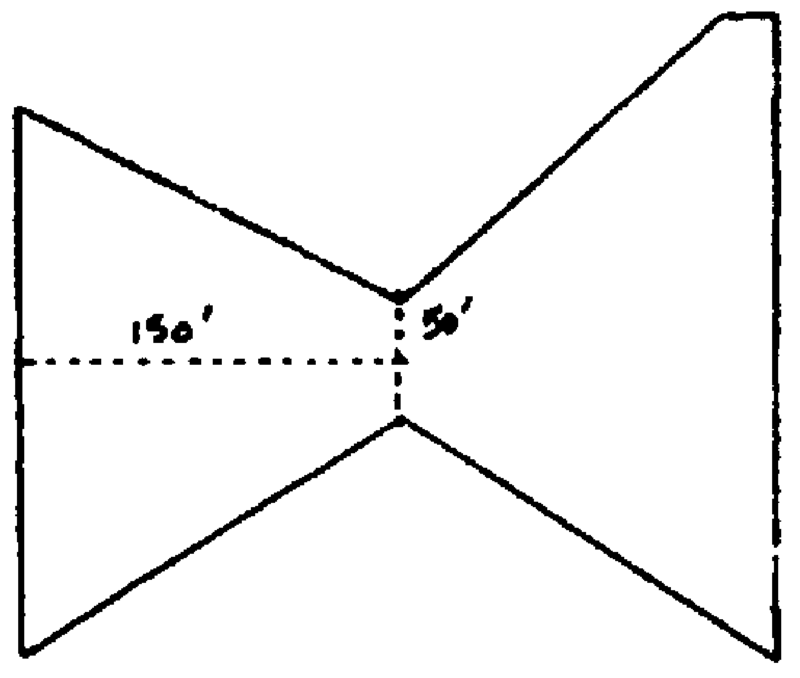 For example, a lot which narrows to 50 feet at a given point must become a closed geometric figure within 150 feet of such point (see Illustration No. 1). A lot which narrows to 30 feet at a given point must become a closed geometric figure within 90 feet of such point (see Illustration No. 2). The driveway entrance and driveway construction for each lot shall conform to requirements of state law and of the Town Driveway Ordinance, and the Commission may require that the proposed location be shown on the final subdivision plan. Editor's Note: See Ch. 51, Driveways. Where a lot has frontage on both a major (or collector) road and a minor road, access driveways shall be taken only from the minor road unless the Commission determines that direct access from the major road is preferable for safety or environmental reasons. The Commission may require that driveway entrances be combined or otherwise controlled as necessary to assure safe traffic movement and to afford proper separation of local and through traffic. Within 40 feet of the center line of the travel way of an intersecting road the maximum gradient of the driveway shall be 3%. Where necessary to avoid excessive regrading, where the driveway serves only one dwelling, the Commission may approve a driveway design as part of a lot development plan in which the driveway gradient is between 12% and 15% for not more than 50 feet in length. No curve shall be allowed where the gradient exceeds 12%. The Commission may require fences and guide rails for safety along embankments and steep slopes. Where a driveway must cross a floodplain, wetland, watercourse or drainageway, the lot development plan shall show a culvert or other structure approved by the Town Engineer as safe for accommodation of emergency vehicles, with sufficient hydraulic capacity for a fifty-year storm. No such crossing will be authorized without all approvals required by the Inland Wetland Regulations, the Town Driveway Ordinance and the Floodplain Management Regulations. Rear lots are only desirable where their use minimizes necessary road construction and environmental impact. Conform to all requirements of the Zoning Regulations. Have a travel way designed to safely accommodate emergency and service vehicles. Have a right-of-way 25 feet in width to accommodate a travel way 12 feet in width where serving one dwelling. Have a right-of-way 30 feet in width to accommodate a travel way 16 feet in width where serving two dwellings. Have in both Subsection B(3) and (4) above space for necessary utility and drainage easements and undeveloped space for planting and grade adjustments on each side between the travel way easement areas and the property line. Have an equitable allocation among benefiting property owners of the liability and maintenance responsibility for any common accessory. The Commission may require the installation of graded pedestrianways, or safe walking paths, along the right-of-way of any road which, because of width, curves, grades or traffic volume, presents severe hazards to pedestrians. Bicycle paths and trails may also be required by the Commission in roadside or other appropriate right-of-way locations where it determines that they are needed for safety reasons. Where the Commission deems it necessary, or is requested by the Fire Marshal, it may require a fire pond as appropriate for safety. Such pond may be required before any building construction shall commence in the subdivision. Where a subdivision road intersects a major (or collector) road, and at other locations deemed necessary by the Commission for reasons of safety, the subdivider shall reserve, grade and appropriately surface an area suitable for the safe accommodation of children awaiting school buses. Its design and location shall require Commission approval. The paved area shall be located on the road right-of-way near the curbline, comprising 100 to 200 square feet in area. Safe access. Roads shall be designed for safe and convenient access and for minimum disturbance of natural resources. Existing roads. Where a subdivision fronts on any road section which has a right-of-way width, curve or intersection less than the standards specified in these regulations, or requiring improvement as indicated in the Town Plan or Weston Road Analysis, the Commission may require the subdivider to annex to the right-of-way, by deed, an amount of land sufficient to correct the deficiency in accordance with standards of safe design. Existing topography and significant natural features shall be preserved to the maximum degree consistent with public safety in the layout of new roads. Combinations of steep grades and curves shall be avoided. Roads shall be planned to provide a convenient system for prospective traffic needs and to safely accommodate fire-fighting, school bus, snow removal and other service vehicles. Proposed roads shall be in harmony with existing and proposed thoroughfares shown in the adopted Town Plan of Development, including proposed realignments, and in the Weston Roads Analysis. Road layout and design shall be approved in each case by the Commission. The Commission may require proposed roads to connect with adjacent roads or undeveloped property where it deems such connection desirable for safety, provision of utilities, or adequate future access. Reserve strips which would prevent the extension of roads are prohibited. A permanent dead-end road may be approved where road continuity is not feasible. Such permanent dead-end road shall be limited to the shortest practicable length required to provide safe access to all lots, but in no case shall serve more than 12 potential lots. A dead-end or loop road shall only be laid out from another dead-end road when the total lots served by the total dead-end road system are limited to 12. Where it deems such action to be necessary in the public interest, the Commission may require that easements for utilities, pedestrian access, or drainage be provided between any dead-end road and adjacent property. Future extension of the road would be feasible and desirable, considering topography, site conditions, and potential availability of adjacent land for development. The applicant shall grant to the owner of such adjacent property a perpetual right-of-way for ingress and egress over such temporary dead-end road in the event of and subject to development of such adjacent property as an approved subdivision. All property owners on or adjacent to the proposed extension have been notified of the proposal. Be limited to a constructed total length of 1,500 feet within the subdivision. Serve no more than 12 lots. Terminate in a temporary turnaround located and improved as directed by the Commission. Provide a monumented right-of-way and reservation. Require building setbacks from future extensions equivalent to those required from existing roads. All dead-end roads, both permanent and temporary, shall terminate in a turnaround of circular or other design approved by the Commission, having a minimum diameter or transverse width of right-of-way of 100 feet. Within said turnaround there shall be a roadway suitable for vehicle turning purposes, with a maximum gradient of 5%. Every permanent turnaround shall be constructed in accordance with the Standard Specifications for Subdivision Road Construction. Liability and maintenance responsibility for the temporary turnaround shall be clearly identified. The reserved right-of-way for future road extension shall be conveyed to the Town of Weston. The Town shall be under no obligation to construct or maintain any improvements thereon and may assign its rights for roadway development to others. Whenever the road is extended, the temporary turnaround shall be removed, and the area unused by the road area topsoiled and seeded by the future developer at his expense, and title to the released area shall revert to each abutting lot owner along the frontage of the released area. Be at least 800 feet from any other intersection with a major road, where feasible. Be at least 500 feet from any other intersection with a minor road, where feasible. 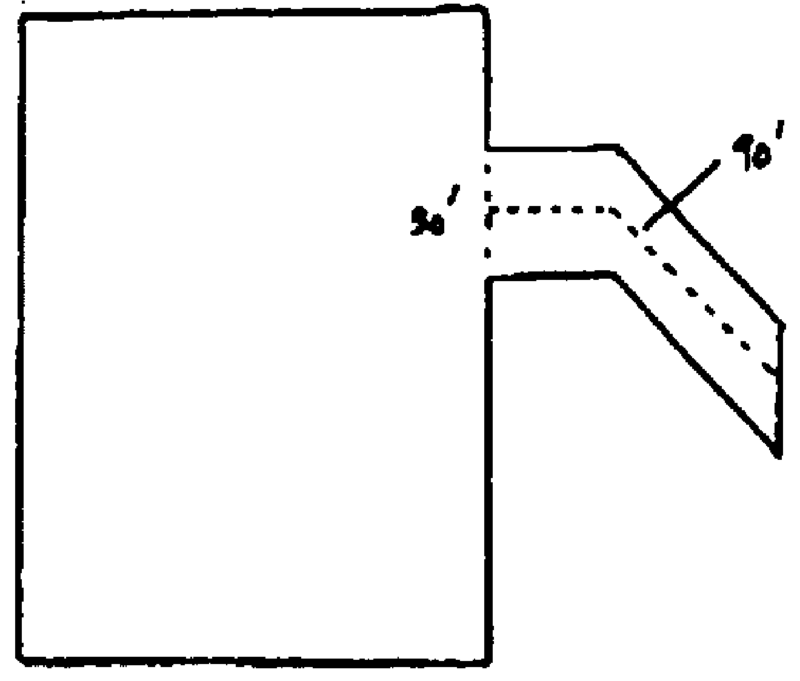 Provide a one-hundred-fifty-foot offset from an opposing driveway, where feasible. Provide a sight line along each intersecting roadway as specified in Subsection M. Required sight lines shall be shown on the construction plan, and corresponding sight line easements shall be established, with proper monuments as necessary, on the subdivision plan. Provide a center-line angle of horizontal intersection as close to 90° as possible for at least 50 feet from the intersected travel way. A perpendicular maximum deviation of not more than 20° (70° to 110° interior angle) may be permitted when an increased pavement radius is provided inside the acute angle to prevent vehicle turning conflicts. Prohibit an intersection with an existing road at any point where the existing road's gradient exceeds 5%. Provide a travel way gradient at center line, for all new intersecting roads, not to exceed 2% for the first 50 feet. Provide a right-of-way at each corner of the intersection rounded to a minimum radius of 25 feet and sight line easements provided as necessary to meet the requirements of Subsection G(4) above. Roads and driveways shall be designed so that there will be no discharge of storm drainage to the travel surface of an existing or proposed road nor into the immediate upslope drainage area of a water supply well or sewage disposal system. Surface drainage shall not be permitted to discharge directly to adjacent land without a drainage easement. All drainage easements shall be at least 20 feet in width and accurately shown on the subdivision plan. Where a proposed road slopes down to an intersection, a low point shall be provided at least 10 feet back from the intersected road and catch basins provided to collect gutter flows. Curbing shall be provided to control gutter flows on all roadways where a gradient of 5% or greater occurs, and suitable erosion control measures shall be provided to stabilize shoulders on lesser gradients if so directed by the Commission. Wherever possible, storm drainage from roads and driveways shall be accommodated in retention or detention basins for controlled and gradual release. All systems designed for the accommodation of stormwater runoff shall be required to meet the criteria for zero incremental runoff and other standards prescribed in § 230-22. No alteration of natural wetlands or watercourses shall be permitted without prior approval of the Conservation Commission where its jurisdiction applies as the Inland Wetlands Agency. No land clearing, excavation, filling or regrading shall take place on any proposed road right-of-way in an unapproved subdivision (with the exception of clearing for test pits and surveying) without prior Commission approval. Every road right-of-way, including bank slopes and driveway cuts and fills, shall be preserved in a stable, thoroughly planted condition. The Commission may require that construction avoid major trees and other significant natural features and that such features be protected from the effects of construction by such devices as walls, barriers, retaining walls, and special erosion control measures. Standard steel guide rail fencing or the equivalent, where required for safety, shall be shown on the plan and installed by the developer as directed by the Commission. Where sight line easements are shown on the subdivision plan, a note shall be added conferring on the Town or other holder of the right-of-way the right to clear, regrade and maintain said easements as necessary for safe visibility or in conformity with specifications stated on the plan. Road names and address numbers. Road names shall be proposed by the developer and shall be approved by the Fire Marshal and Police Chief prior to submission to the Commission. Road names shall require approval by the Commission and shall not closely resemble any existing road name in Weston or its vicinity. A Town standard sign bearing the name of the approved road shall be placed at each intersection. Such names shall be shown on the final subdivision plan. Utilities. All distribution and service lines for electric, telephone, gas, water, sanitary sewer and other facilities shall be installed underground in accordance with plans approved by the Commission and shall be completed to the property line of each lot before final road paving. Significant installations serving more than one lot, such as pad-mounted transformers, pump stations, water standpipes, stormwater filtration basins, and the like, shall be placed underground wherever possible. Any facility requiring aboveground installation shall be located and effectively screened as directed by the Commission. Where utility lines must cross private land, a perpetual easement at least 20 feet in width shall be provided and shown on the subdivision plan. Construction requirements for roads. Roads shall be required to meet the standards of Subsection M. Road classification may be determined in each case by the Commission. Roads shall be constructed in conformity with § 230-9F and the standard specifications for subdivision road construction. Road classification and design standards. The classification of existing and proposed roads may be indicated in the adopted Town Plan of Development and shall be specifically determined by the Commission in each application. Arterial, or connector, roads are those inter-town state-maintained roads which serve primarily regional needs and carry significant volumes of non-local traffic. Major, or collector, roads are those through roads which serve larger neighborhoods, provide town traffic circulation, or are projected to carry significant traffic volumes. Minor, or local, roads are those through or dead-end roads which serve primarily as access to local neighborhoods and abutting lots. Neighborhood lanes are those public or private dead-end roads serving no more than eight residential lots. Except that minimum radius shall be not less than the following values for each one-percent algebraic difference in grade: neighborhood lane, 15 feet; minor road, 20 feet; major road, 25 feet. Except 12% on straight alignment where approved by the Commission. Soil and water conservation. A plan for control of stormwater runoff to prevent flash floods, conserve natural water tables, minimize erosion and siltation, and protect wetlands and other natural resources must accompany every subdivision application. Design storm and drainage area. In each subdivision, planning and design of stormwater facilities shall be based on potential storm runoff from the served area at full development, in accordance with fifty-year frequency storm criteria. Culverts, catch basins, pipes, swales, and retention ponds shall be designed to accommodate storm runoff from upland watershed areas where no adequate stormwater retention facilities exist. Zero increase in rates of runoff and erosion. Development and other modification of land shall be planned so that there will be no increase in the volume of runoff, nor increase in the speed of stormwater discharge, nor increase in natural or preexisting rate of soil erosion, on the subdivision site under conditions of the fifty-year design storm. Storm runoff calculations shall be based on full development of the entire site and must conform to standard criteria contained in the Connecticut Department of Transportation Drainage Manual for hydrologic and hydraulic analyses and available at the office of the Town Engineer. Full development means development in accordance with current zoning regulations, with allowance made for planned roads, driveways, septic fields, and paved and semi-pervious areas. Zero incremental runoff shall be accomplished by appropriate water retention or infiltration systems designed to achieve a gradual, controlled and dispersed stormwater release, by such means as retention/detention basins, dry wells, diversion reservoirs, or permeable driveways or other systems designed in accordance with good engineering practices and sound environmental and conservation objectives. Any alteration of existing wetlands or watercourses is subject to the regulatory jurisdiction of the Weston Conservation Commission and will require approval from that body. Development tending to increase runoff or soil saturation in unstable areas (such as significant slopes, stream banks, or shallow soil ledges) shall be avoided wherever possible. No construction shall take place in these areas prior to installation of protective measures approved by the Commission. During construction, all bank slopes shall be stabilized as rapidly as possible. Previously existing unstable conditions on the site. such as steep banks, drainage ditches or eroding slopes, must be stabilized and corrected. Localized increases in runoff velocity within the site shall be controlled as close to the source points as possible, to prevent an increase of erosion and siltation on the site. Erosion and stormwater controls shall be consistent with good engineering practice. Recommended practices detailed in the Erosion Control Handbook for Connecticut, published by the United States Soil Conservation Service, and in the Connecticut Department of Energy and Environmental Protection Stormwater Quality Manual shall guide the Commission in its review of each drainage and erosion control plan. Storm drainage from driveways, cellar drains, roof drains and other impervious areas on lots shall not be discharged to the travel way of a road. Sites shall be designed to retain as much storm runoff as possible on the site for gradual release to natural water tables, but stormwater discharge to on-site road drainage systems may be approved by the Commission where effective detention facilities are provided at convenient downslope control points. Roadside shoulder areas of all roads lacking curbs shall be designed to minimize scouring and erosion, as detailed in the plan approved by the Commission. "Soft drainage" on roads shall be prohibited where slopes exceed 5%. The Commission shall require the applicant to provide base flood elevation data for all subdivision proposals. Where base flood elevation data is not available, the applicant shall provide a hydrologic and hydraulic engineering analysis performed by a Connecticut registered professional engineer that generates the base flood elevations for all subdivision proposals and other proposed development. Drainage and erosion control plan. Facilities designed to carry out the requirements of Subsections A through F shall be shown in detail on the construction plan or on a separate plan accompanying the subdivision plan at the same or larger scale. The drainage and erosion control plan, including all drainage computations and facility designs, shall be prepared by a professional engineer registered in the State of Connecticut. All storm drainage and retention facilities shall be designed with reserve capacity to accommodate sudden overloads caused by malfunction of existing undersized upland drainage facilities and for minimal maintenance, as determined appropriate by the Commission. Where the development of a subdivision will result in additional stormwater discharges to any wetland, watercourse or one-hundred-year floodplain, the plan shall include a runoff analysis (pre-development and post-development) in accordance with the Connecticut Department of Transportation Drainage Manual for the complete upland drainage basin and shall provide such retention/detention and other measures as are needed to fully protect the downstream area. All drainage computations and other analyses shall be described in an accompanying report. The Commission may require the submission of additional information or changes in design where necessary to implement the requirements of Subsections A through G inclusive. Where storm drainage or retention facilities must serve more than one lot or be located off the site, the developer shall provide at his expense all necessary drainage easements. Such easements shall be perpetual, unobstructed, monumented courses at least 20 feet in width sufficient to provide convenient access to all facilities. Drainage easements shall be conveyed to the Town of Weston where they serve Town roads and shall require maintenance covenants satisfactory to the Commission where they serve private roads or private lands. Soil erosion and sediment control plan. A soil erosion and sedimentation control plan (ESCP) shall be submitted with each subdivision application. This shall consist of a plan (map) and written narrative. If appropriate, the applicant may incorporate requirements of the following sections within the ESCP: § 230-22A, B, D and G.
Proposed alterations during developmental activity. Location and design detail of soil erosion and sedimentation control measures. Sequence of developmental activities such as grading, installation of drainage devices and erosion/sedimentation controls. Sequence for final stabilization of the area. Signed statement by the project engineer that an as-built certification will be submitted under his seal and signature at the completion of developmental activities. Site development shall not begin until the Commission has approved the ESCP and site map. Said approval shall constitute certification when both plan and narrative are signed by the Chairman subsequent to vote of the Commission. The Commission shall require that 10% of the aggregate area of any proposed subdivision, which proposed subdivision consists of 10 acres or more, shall be reserved for open space, parks, or playgrounds as set forth in Connecticut General Statutes § 8-25. The Commission shall determine the location and boundaries of the reserved area. Each reserved area shall be of a suitable size, topography, and general character and shall have adequate access to serve the particular purpose for which the area is dedicated. The area reserved pursuant to this section shall be delineated on the final subdivision plan approved by the Commission. Editor's Note: Original § 3.12.2, Area requirements, which immediately followed this subsection, was repealed 12-30-2009. Negative easements. Where significant natural resources would be endangered by development but a specific reservation for open space would unreasonably reduce the number of lots, the Commission may specify the granting of negative easements restricting development to protect the significant area. Such easements shall be shown on the subdivision plan and recorded in the Town land records for each affected lot at the time of filing the subdivision plan. Trails and access to open space. The subdivider may propose the recipients of title to open space land and easements and shall be responsible for presenting such proposed agreements for conveyance before subdivision approval. Ordinarily, land adjacent to Town-owned open space or trails, where indicated in the Town Plan as recommended for public acquisition, shall first be offered to the Town. Open space may be offered to a public or private conservancy. Where land is to be conveyed to a neighborhood association for recreation purposes, a legal covenant establishing undivided ownership and liability and maintenance obligations to run with the title of the lots shall be approved by Town Counsel and submitted with subdivision approval. No later than a specified date accepted by the Commission and noted on the subdivision plan. Payment in lieu of open spaces. In lieu of reserving open space as required pursuant to Subsection A above, an applicant may, by written notice delivered to the Commission at any time prior to closing of the public hearing, elect to make a payment of a fee equal to the maximum sum permitted pursuant to Connecticut General Statutes § 8-25 (the "fee in lieu"). To be effective, such notice shall include an appraisal by a licensed appraiser jointly selected by the applicant and the Commission certifying to the Commission the amount of the fee in lieu; the cost of said licensed appraiser is to be paid solely by the applicant. The fee in lieu shall be become due and payable in the manner set forth in Connecticut General Statutes § 8-25. The fee in lieu shall be administered and utilized pursuant to Connecticut General Statutes § 8-25b. An applicant may revoke its election under this section at any time prior to closing of the public hearing, after which its election shall become irrevocable, subject only to withdrawal of the subdivision application. All roads, easements and other reserved parcels shall be shown on the subdivision plan and their boundaries fixed with permanent monuments. For all roads, easements and reserved parcels to be offered to the Town, a conveyance agreement prescribed by or acceptable to the Town. For all roads, easements and reserved parcels for other ownership, a conveyance agreement which includes a perpetual ownership and maintenance covenant accepted by the designated recipient. For temporary reservations, such as temporary turnarounds and dedications for future road extensions, a covenant which provides for interim ownership and maintenance responsibility and future conveyance to designated recipients. Each of the above instruments shall become, as approved, a binding condition of the subdivision approval. During the period of bonded obligation to the Town, the subdivider shall be responsible for proper maintenance and repair of all constructed facilities. All roads classified as major (or collector) and those minor (or local) roads which connect at two or more points with other Town roads or serve 12 or more lots. All drainage easements serving existing or proposed Town roads. Pedestrian and other easements serving existing or proposed Town lands. The following easements, where they lie within a lot, may be included in determining the minimum area of such lot: drainage, open space - negative, sight line, and slope. Easements which may not be included in determining minimum lot area are: access (right-of-way), open space - positive, pedestrian, and utility (where such easements restrict the use of the land). Natural or physical conditions of the site are such that compliance with the particular requirement for submission or approval would create an exceptional difficulty for the applicant, and these conditions do not apply generally to other land in the vicinity. The waiver would allow a feasible development alternative, under which reasonable use of the land will occur and natural resources will be soundly protected. Granting the waiver is consistent with the purposes of these regulations and will promote the public health, safety, and welfare. The Commission shall state on its records the reason for which a waiver is granted in each case.